Mumbai: The Securities and Exchange Board of India (Sebi) lifted a ban on issuing so-called participatory notes (PNs), as well as other caps on these instruments in an effort to pull in more foreign capital and shore up a rapidly falling Indian stock market. The decision, announced by Sebi chairman C.B. 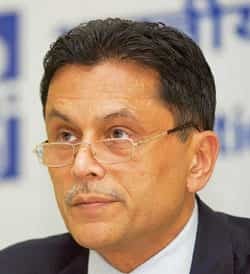 Bhave after markets had plummeted and closed, reverses a year-old decision under which the regulator had placed a 40% cap on foreign institutional investors (FIIs) issuing PNs through sub-accounts, and had completely banned any such instruments that were based on Indian stocks or index derivatives as part of a campaign to flush out what it had labelled “anonymous investors". Explaining its rationale for Monday’s reversal, Bhave said that the issuance of PNs has come down due to the market meltdown. “Foreign funds have realized that they are taking a counter-party risk," Bhave said. PNs are contracts issued by FIIs, registered in India, to their offshore clients. Such PNs enable the overseas investors to buy Indian equities through the FII. Sebi has now also decided to review the norms governing the participation of FIIs in the securities market. “Entire framework of participation of FIIs needs a comprehensive review and we will put out a policy paper asking for public comments," Bhave said. Some FIIs and their client brokers in Mumbai, however, said the move may not make a huge impact in the market. “Capacity expansion for capital is meaningless when people (investors) are already pulling out, based on fundamental issues," said Sanjeev Prasad, co-head of institutional equities at local brokerage Kotak Securities Ltd. The earlier ban on PNs, according to Sebi, was intended to increase “transparency" in Indian markets by monitoring the credentials of all foreign investors. On Monday, Bhave said such curbs are “no longer considered necessary". Last fiscal, FIIs had invested some $17.3 billion (Rs82,175 crore today) net in Indian equities. For fiscal 2009 so far, they have already pulled out $9.3 billion net. The Sensex, India’s bellwether index of the Bombay Stock Exchange, gained about 45% each in calendar years 2006 and 2007; it has lost 41% in 2008. Sebi said its efforts to expedite registration of FIIs and sub-accounts has been helpful; in a statement, the regulator pointed out that it has registered 397 FIIs and 1,160 sub-accounts since the new regulations were implemented last October. Some foreign investors had been expecting Sebi to act in sync with regulators across the world, who are worried about short-sellers bringing down firms, by restricting offshore lending and borrowing of PN inventory for short-selling. Bhave, however, ruled out emulating other short-selling bans, saying, “We don’t have to copy something that is a reaction to severe crisis." Apart from relaxing the norms for the use of PNs, Sebi’s board has decided to step up the process of setting up exchanges for small and medium enterprises. The market regulator is drafting norms for recognition and supervision of such exchanges.